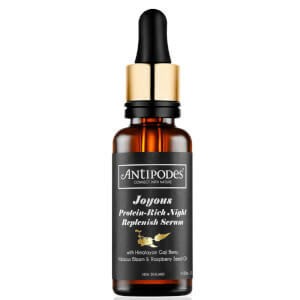 Antipodes Joyous Protein-Rich Serum is a silky night serum that helps to rescue dry and damaged skin. 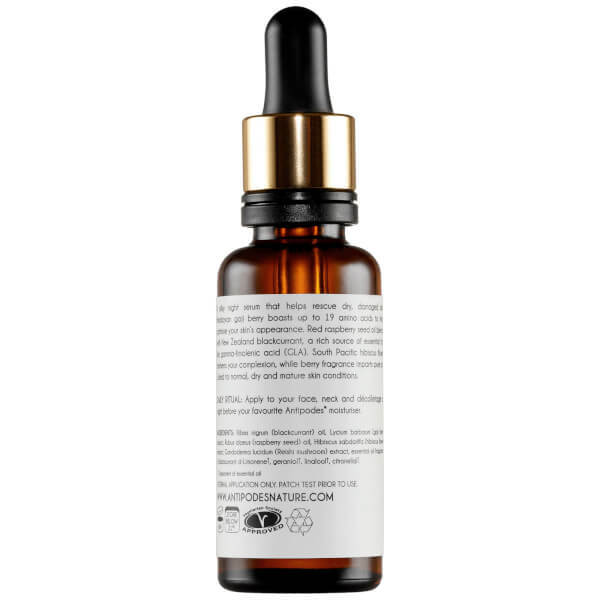 The organic serum contains Himalayan goji berry that boasts up to 19 amino acids to help optimise your skin's appearance. Helping to refresh your complexion, the natural ingredient serum blends blackcurrant, a rich source of essential fats, hibiscus flower and berry fragrance to create a pure joyous scent. 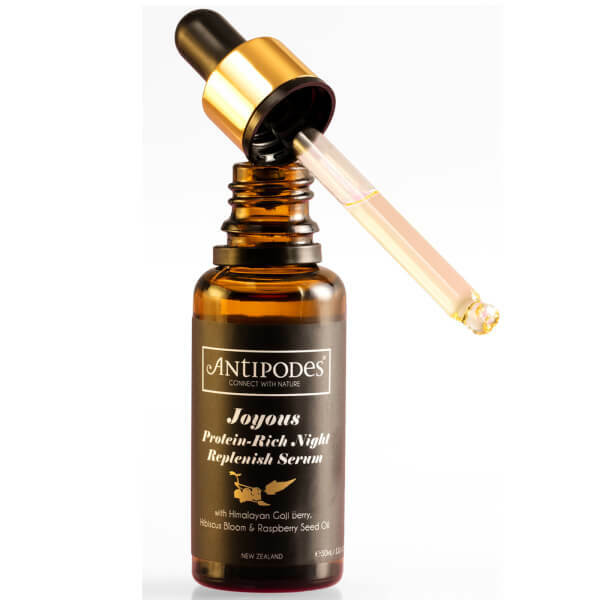 Apply at nightfall to face, decolletage and neck following your Daily Cleanse beauty ritual.